In 2016, augmented reality is no longer an impossible dream for marketers. At the merest mention of this phenomenon, marketers’ eyes light up like Christmas trees and 2D and 3D dollars bills appear before them. It is generally agreed that augmented reality will boost creativity. Revenue generated from this will rise from 500 million to 7,5 billion euros by 2020. This technology, when applied to advertising objects, opens the door to communication campaigns on a completely new scale for companies. 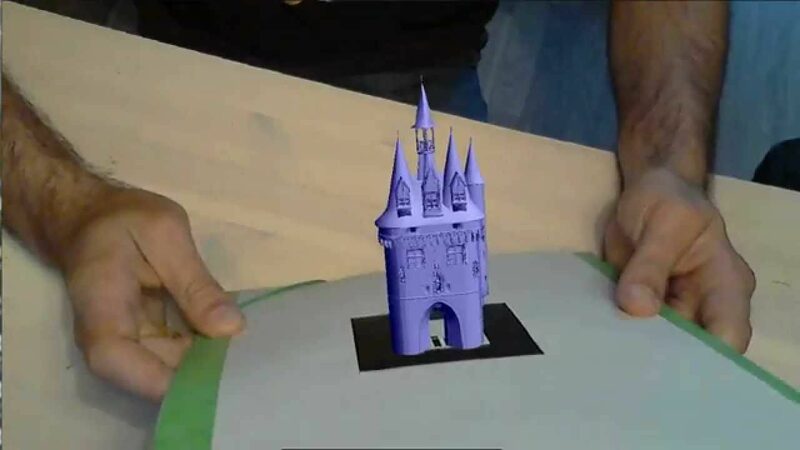 Augmented reality allows the insertion of a 2D or 3D element in an image. This effect increases onlooker’s perception of the environment when they are looking at the image; and can also give them access to digital information. There are no limits for its utilisation and creativity in advertising and marketing sectors. Augmented reality can be employed for event communication operations, product presentations and point of sale interactivity. Ikea has shown the way in proposing customers an interactive catalogue. The application enables the incorporation of a piece of furniture or an object into a photo of the room, where it is to be placed. This allows the object to be envisioned before the purchase. For their part, l’Oréal has provided a mobile application that allows customers to try its latest make-up using a selfie. Satisfied by the results, customers can then immediately buy it online. Finally, JCDecaux has chosen bus shelters for their display posters supporting the the release of the film “Why I did (not) eat my father”. By pressing the button under the poster, the passerby starts an animation and the film’s characters appear in a larger than life photo at the bus shelter. By using augmented reality a simple USB key or an advertising mouse pad can be turned into an interactive object. Digital data, registered on the logo can be scanned by the user’s tablet or smartphone with the help of a dedicated application. The customer and his environment enter immediately into the brand’s universe. Quickly becoming indispensable in renewing a communication campaign, augmented reality valorises companies’ brand images and facilitates the prospect’s bond with the recommended product. The identification and the presentation create confidence and incite a will to acquire the consumer product. It enables a brand to stand out from the competition with this new usage. It creates an interaction between product and customer, transforming the latter into one of the players. It provokes a swift purchase, and live demonstrations lead to a relationship of mutual trust. It facilitates the conversion of new customers, attracted by its effects. The perspectives offered by augmented reality are extremely tantalising in terms of marketing. All the same, there is an entry cost that must be vindicated by real sales. There is no getting away from the figures, and its effectiveness will be sanctioned by the conversion rate and higher sales figures. Otherwise, augmented reality might well remain an impossible dream. Promotional merchandising or how to be more effective in your Marketing strategy?